MIPIM: the future of real estate to be highlighted at groundbreaking 30-year edition of MIPIM. MIPIM 2019’s central theme, “Engaging the Future,” will focus on envisioning the next 30 years of the real estate industry with an emphasis on sustainability. Every year, MIPIM gathers the most influential players from all sectors of the international property industry for a four-day event of networking, learning and insightful discussion through various conferences and exhibitions. MIPIM 2019 is expected to be attended by over 26,000 participants and more than 5,400 investors. Environmental sustainability will be a key theme at MIPIM 2019. High energy prices, climate change and new government regulations are actively changing traditional industry platforms and practices. Panelists will analyze how the real estate industry is being transformed by these factors and discuss strategic ways to adapt and invest moving forward. Additionally, they will discuss how disruptive technologies such as virtual reality, artificial intelligence and big data optimize real estate management and profitability in the digital era. For the first time, MIPIM will feature a Young Leaders Summit focused on millennials and their impact on the real estate industry today and in the future. In the real estate industry, millennials are today’s end-users and tomorrow’s decision-makers. The Young Leaders Summit will analyze the modern sharing economy and its focus on connections and new methods of investing in addition to greater environmental awareness. 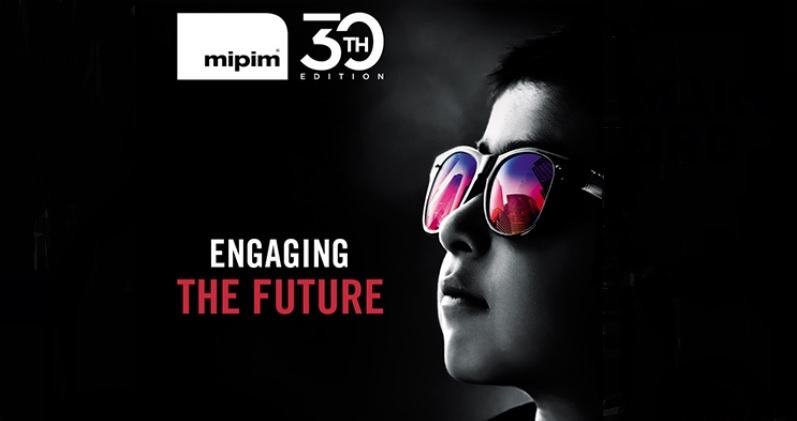 “We are excited to be celebrating the 30th anniversary of MIPIM at this year’s conference,” said Ronan Vaspart, Director of MPIM “This year’s theme will look at the next 30 years of real estate and how the industry can contribute to creating a technologically advanced, sustainable and innovative future. We look forward to hosting the world’s leading experts from an array of sectors to explore this important topic.